Our goal is to provide your organization with superior swim instructor training and certification. 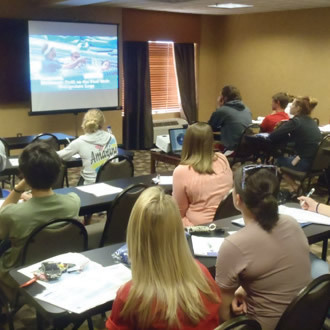 The #1 goal of Swim Lessons University is to make swim teacher training and certification easier, more cost effective, and practical. Our swimming instructor training and certification system is comprehensive, easy to access and apply, and includes the supporting tools, such as lesson plans and a water safety focused awards system, to make your Learn To Swim program a success. please contact Jim Reiser today. Instructional videos with step-by-step guidelines on how to encourage and develop children's swimming skills and techniques. Your instructors will learn practical and developmentally sound teaching techniques that are dynamic and engaging. DVD training modules can be used individually or administered as a group at your facility. 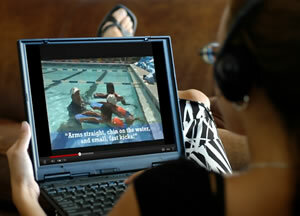 Optional online streaming video training available for larger swim programs - Call for details. 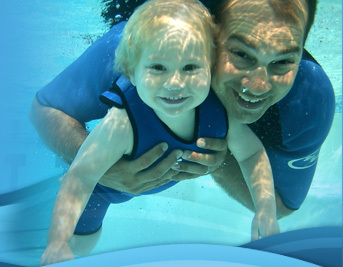 Child-centered, progressive swim lesson system designed to make children safer when in and around the water. Teach Like A Pro - The fundamentals of teaching...this course promises to improve the effectiveness of your swimming instructors. Parent & Tot - for ages 12 - 36 months – A child-centered, yet progressive approach to teaching toddlers to swim. Swim Strokes 200– A progressive strokes course that teaches entry-level swimmers the formal strokes of freestyle and backstroke. Advanced Swim Strokes 300– A progressive advanced strokes course that teaches breaststroke and butterfly to swimmers who have already mastered freestyle and backstroke. Lifesaving Strokes 400– A progressive advanced strokes course that teaches the lifesaving strokes of sidestroke, elementary backstroke, and treading. Once your swimming instructors complete their video training, online tests are available for certification. With the completed test, the swimming instructor is presented a Certificate of Completion - signed by Jim Reiser, President of Swim Lessons University, and World Aquatic Babies and Children Network's president, Steve Graves. 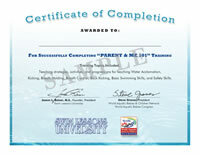 Swim Lesson University's Instructor Certifications are endorsed by the WABC. 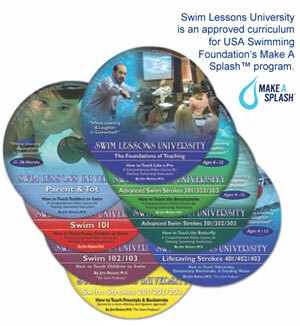 Swim Lessons University has developed an innovative system for rewarding swimmers as they complete each course. 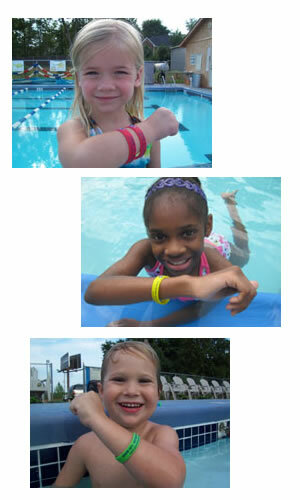 Children are given a brightly colored bracelet for each completed swimming course that is color coded to help communicate to parents, teachers, and lifeguards the skill level of each child as they progress through the swim lesson curriculum. Available as downloadable PDF for unlimited printing or as a single laminated document. Lesson Plans include exact exercises, instructions, cues, and progressions that The Swim Professor uses every day for every class he teaches. 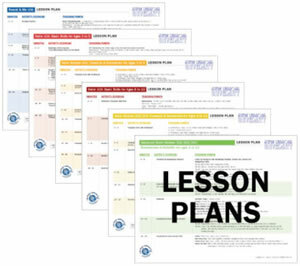 Each course in the curriculum has a corresponding lesson plan.